The APCRC-Q is a dedicated prostate cancer research centre located in Brisbane. Established with funds from the Australian Government department of Health and Ageing. The Australian Prostate Cancer Research Centre – Queensland is one of two disease-specific, consolidated national prostate cancer research centres. We are an initiative between the Queensland University of Technology and the Princess Alexandra Hospital. The ACPRC – Q's vision is to develop new therapeutics and predictive biomarkers, via a collaborative, transdisciplinary, translational approach. We span discovery science through to clinical evaluation, and are underpinned by leading edge technology. Our activities are greatly facilitated by local, national and international collaborations. Publications is the home of the New South Wales State government public information. 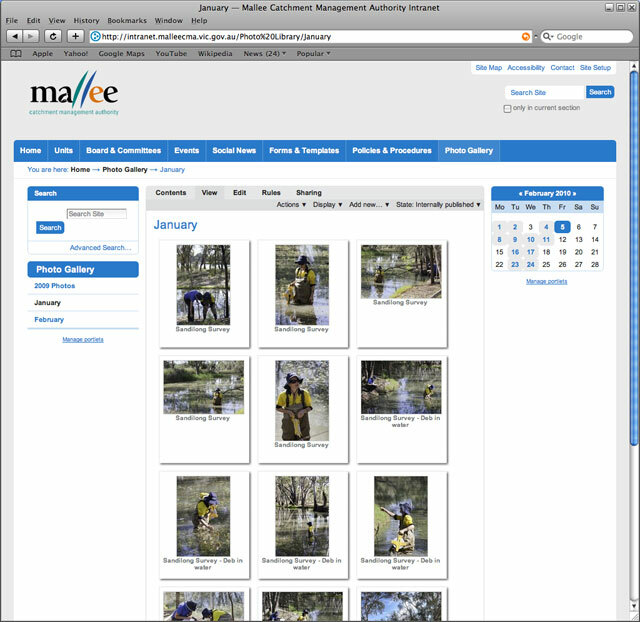 Within this site you can find publicly available information from many of the different agencies departments of the New South Wales State government. 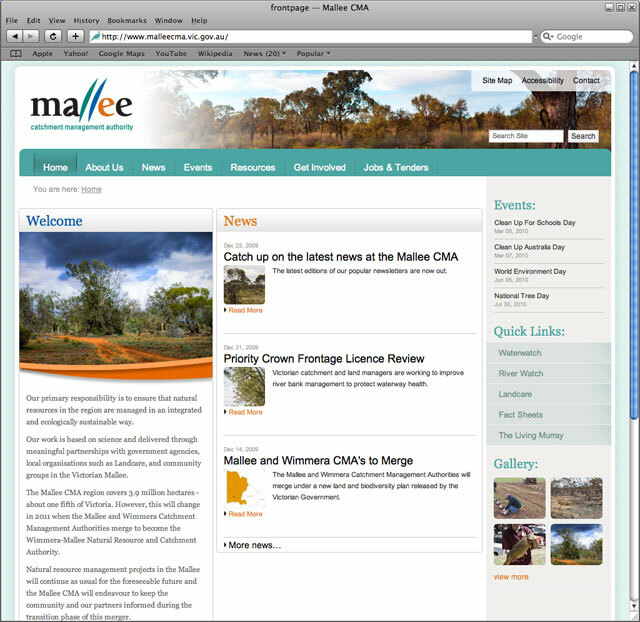 The Mallee CMA's work is based on science and delivered through meaningful partnerships with government agencies, local organisations such as Landcare, and community groups in the Victorian Mallee. 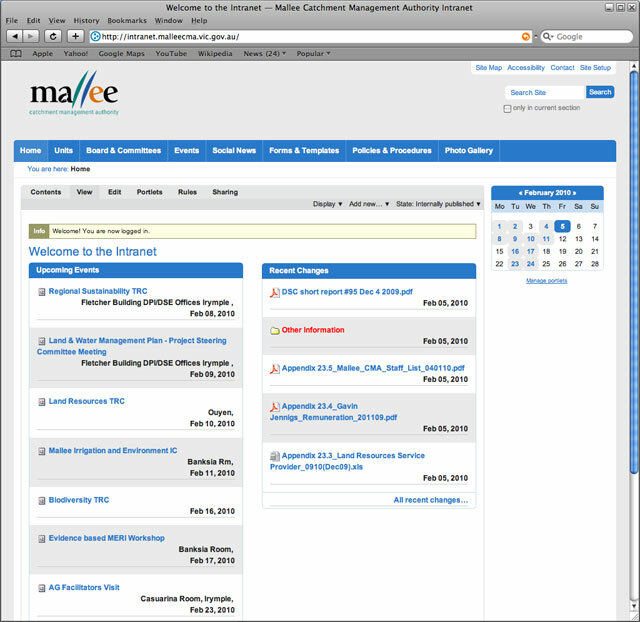 This intranet site was developed as an information hub for all employees of the CMA. Previously all documents, files, images and other digital resources were available only on an internal network and this was problematic for many of the remote working employees. 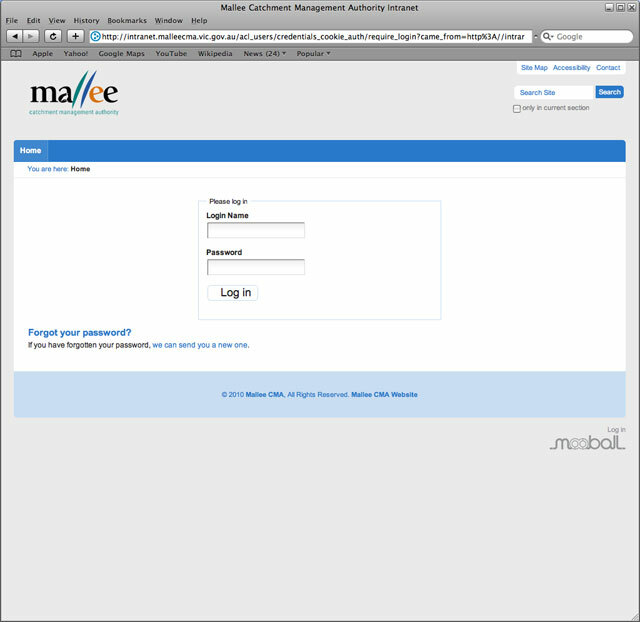 Mooball IT developed a custom intranet solution based on the Plone CMS and host it on a Xen based cloud server externally. 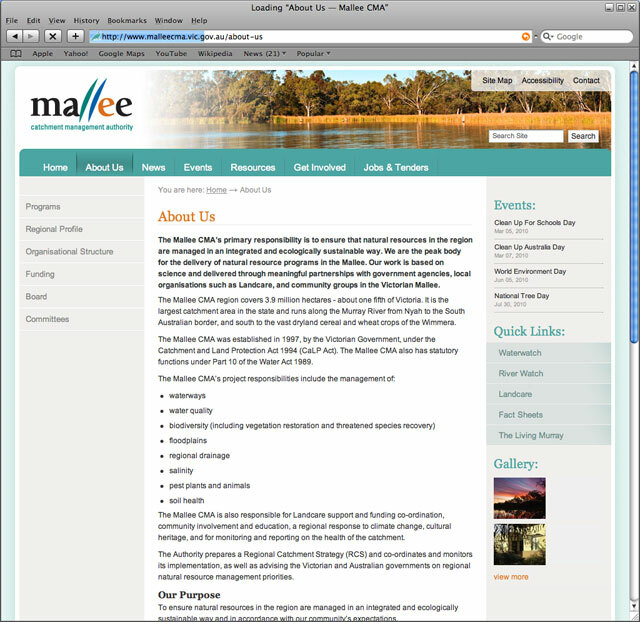 The Mallee CMA's work is based on science and delivered through meaningful partnerships with government agencies, local organisations such as Landcare, and community groups in the Victorian Mallee. 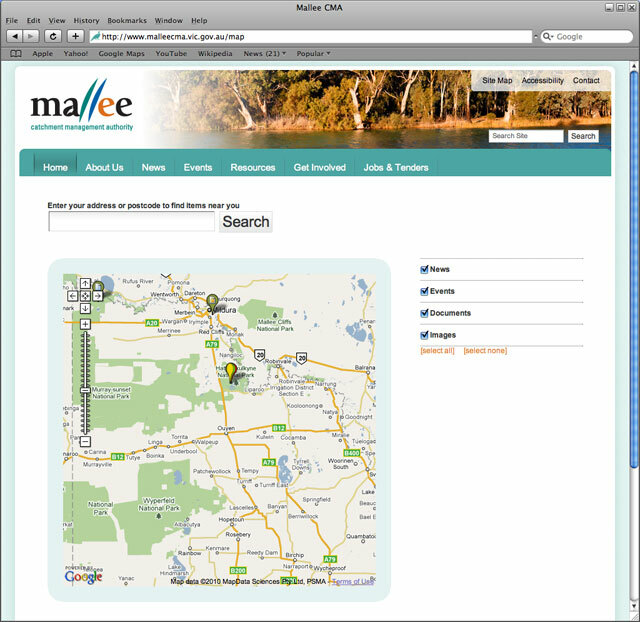 This website features Mooball's Geo plugin that provide's a location map and search function utilising Google's Maps API. The core goal of the Landcare Gateway redevelopment was to understand And facilitate the landcare community to increase outcomes in Victoria. Public feedback has been good with visitors begin able to find information more quickly and easily than before with the ‘live’ search function. News and events and be quickly published and displayed on the homepage. 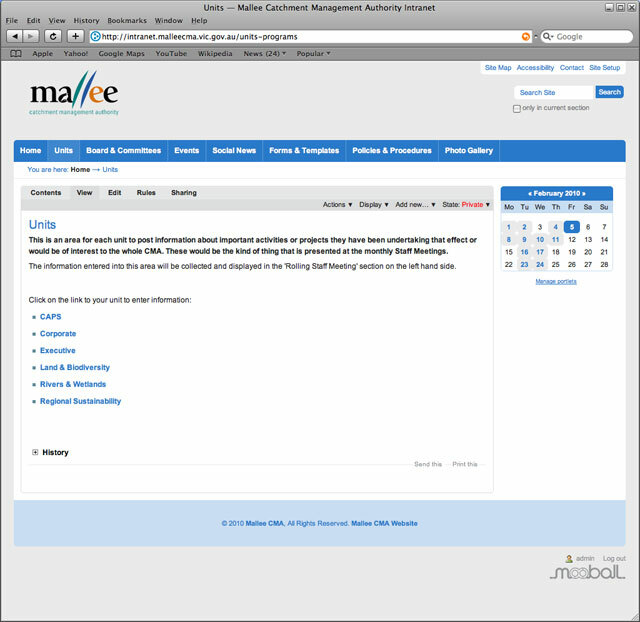 The content style and site navigation and styles now consistent.